This site is located in Saudi Arabia. MW125 Micro Powder Mill as the ultra-fine powder making machine, it can process materials very well. 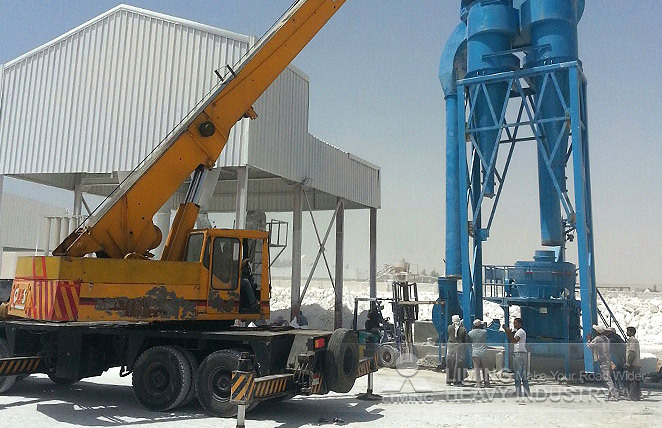 So in this calcium carbonate processing project, it also dose a good job. The capacity is 10-16t/h, and the output size is 20-15 micron. Finally, calcium carbonate powder is used in painting.